Community Blog by ZServ // You want more plastic instruments? Well, for those of you who still love having plastic instruments, and demand even more, a visit to my local walmart today has ended in good news for you. 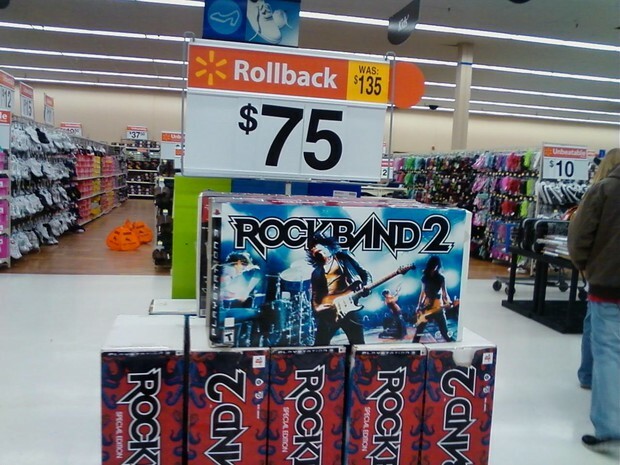 Apparently, walmart is running a sale on Rock Band 2 PS3 bundles. Tried to send this to the tips email, doesn't work for some reason. Anyway, for you new ps3 owners who demand more instruments, here you go!